A lively play-by-play voice and insightful commentator can enhance a televised basketball game. Similarly, personnel in those roles who fail to deliver anything of substance or style can detract from the game’s beauty and thrill. 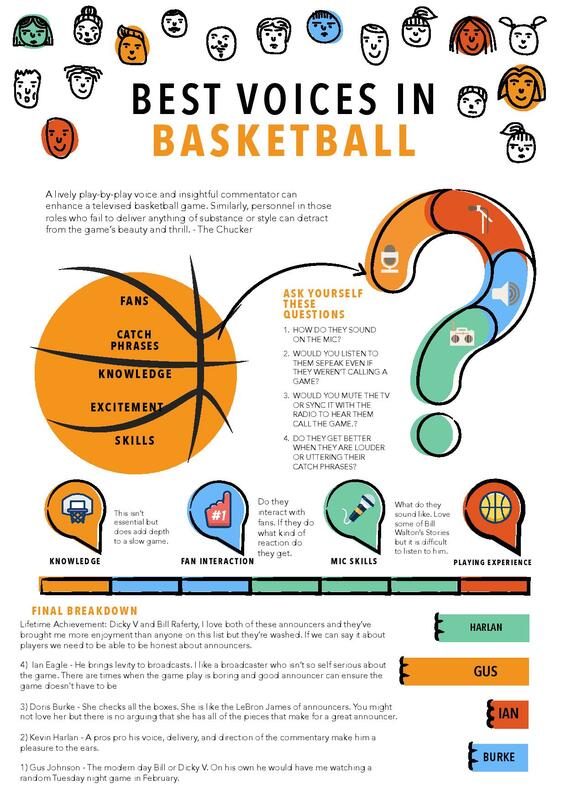 “The Chucker,” High Volume Shooters’ resident historian, takes a shot at ranking the best voices calling men’s college basketball and NBA tilts today. While there are certainly a great number of exciting local broadcasters, this list focuses solely on national play-by-play voices and analysts. Van Gundy can be salty and ornery, that’s a given. He can also be revealing and unapologetically honest. He’ll call out loafing players, media, NBA leadership and more if he thinks – rightfully so or not – they’re not up to par. And special mention to his longtime partner Mike Breen as well, a true professional on the call. The veteran broadcaster pairs a smooth delivery with a genuine excitement for the game. Harlan doesn’t manufacture energy when action on the court is going through its relatively standard ebbs and flows, but can pump up the excitement with the best of them when the moment demands it. Anyone regularly paired with Bill Walton deserves major props and Pasch handles that challenge – Walton is, of course, a self-aggrandizing, though enthusiastic soul – with aplomb. Anderson, the play-by-play voice of baseball’s Milwaukee Brewers, might not be a household name, but he’s first rate on a basketball call. He’s a straight shooter who rarely oversells moments or resorts to clichés. Combining intelligence and wit with doses of quirkiness, Eagle heightens a broadcast’s entertainment value. He’s prepared, informative, and savvy about deferring to the analyst’s chair. The Chucker has long carried a soft spot for Coach Brown, an influential voice in the game for more than 40 years. At 85, Brown remains as passionate as ever. He calls it as he sees it, never talking down to viewers and actively teaching the game on a telecast. It’s hard to watch a full game with Brown and notcome out more informed. Burke’s a gem. Consistent, self-aware, and sharp with her analysis, Burke adds perspective to every telecast. An absolute pro’s pro – and a trailblazing one at that. Some despise Bilas simply given his Duke ties, but there’s no denying his basketball acumen. The attorney/analyst is honest and pragmatic while his self-deprecating style ensures an entertaining broadcast. Some find Raftery and his Raffisms (“With a kiss!” and “A little lingerie on the deck!” among others) annoying, but there’s no denying his love for the game. He’s the wacky uncle at the Thanksgiving table, albeit one with an encyclopedic knowledge of basketball’s history and X’s and O’s. The energy. The intensity. The crisp delivery. Gus Johnson’s always “on.” And when the game on the court delivers, Johnson’s brilliance shines. Did The Chucker get it right? 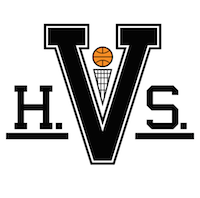 Be sure to follow HVS on Instagram and Twitter and let us know!